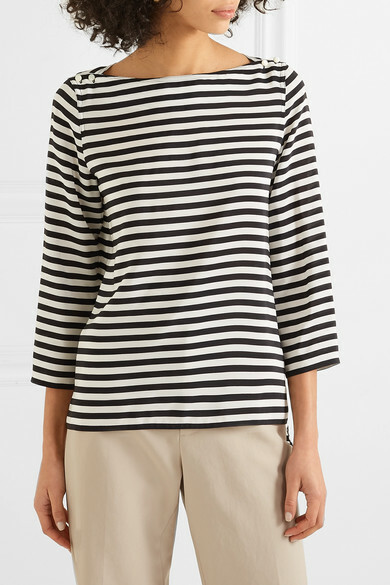 Max Mara’s top has been made in Italy from wonderfully soft silk and decorated with classic marinière stripes. 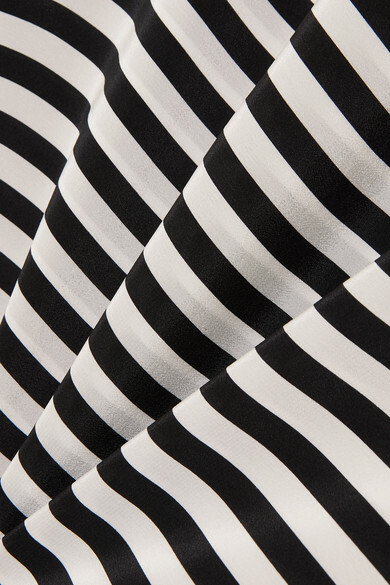 The relaxed silhouette is cut with side slits that enhance its fluidity and make it easier to tuck into pants. 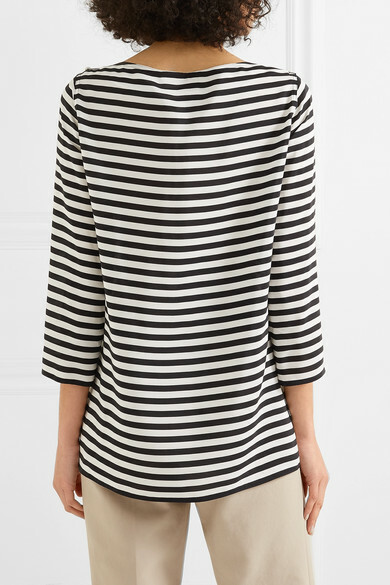 Designer-embossed buttons subtly trace the shoulders. 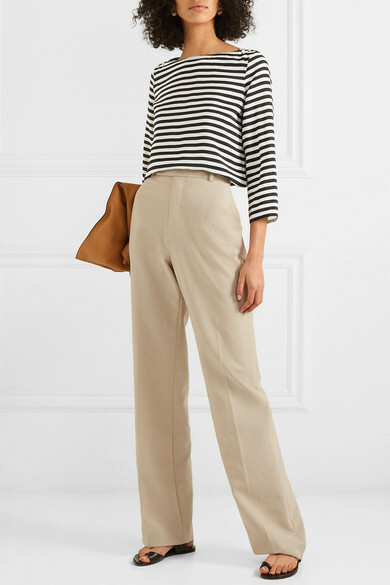 Shown here with: Helmut Lang Pants, Loewe Shoulder bag, The Row Sandals, Laura Lombardi Earrings.